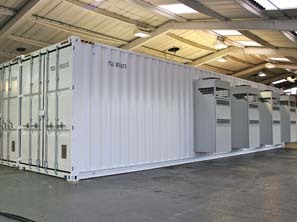 Cannon Technologies Ltd (CTL), a globally awarded containerised solutions provider, has considerable experience as a UK Systems Integrator and delivers many large and small programmes to both Industry and UK Ministry of Defence (MoD), including recent Operational Requirements delivered in demanding timescales. 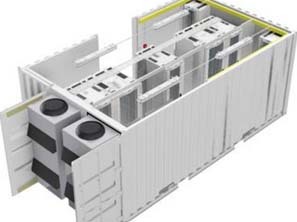 This comprises of 1 or more ISO Hi-Cube containers complexed together to form a large modular data centre for the installation of environmentally sensitive IT equipment. 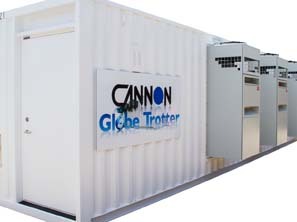 This product provides a conditioned environment for the internal equipment to military standard even when operating in external ambient extremes such as those endured during a Middle Eastern operation. 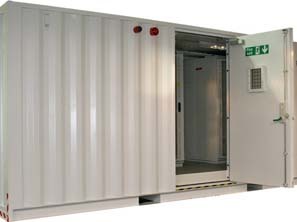 These facilities are secure and provide segregation to enable networks/systems of different security levels to be supported. 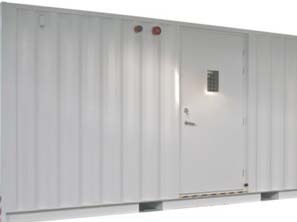 Transportable Switch Room. 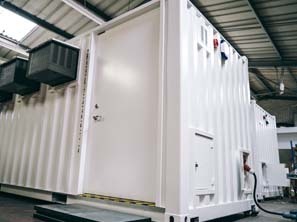 A wide body extended footprint 20’ (l) x 8’ 6” (h) x 11’ (w) ISO container for the installation of environmentally sensitive IT equipment. 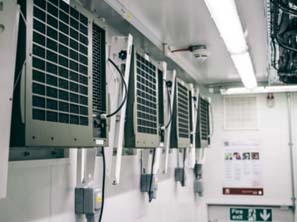 Deployed in the Middle East this facility provides a conditioned environment for the internal equipment when operating in external ambient extremes endured during Middle Eastern operation. Disaster Recovery (DR) mobile communication system for military & mine sites under rapid deployment conditions and is Air, Land & Sea operationally ready & deployable mobile communication system including C4I. 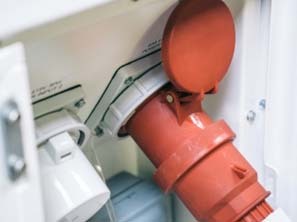 Scaled for use by 10 to 400 terminals and under current support. Copyright © 2019 Cannon Technologies LTD. Cookies To make this site work properly, we sometimes place small data files called cookies on your device. Most websites do this too.